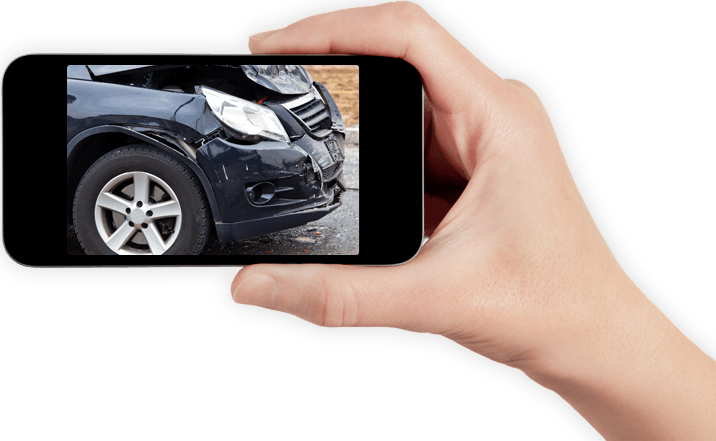 See how we return vehicles to pre-accident condition – and read testimonials from happy customers. Our first-rate panel beating service will get your vehicle back to its pre-crash condition. Stay on the road with our accident replacement vehicles. Our fleet features small cars, vans and work utes. Upload a photo of your smash, send it to us and we'll give you a smash repair quote within the hour. Speak to our panel beaters. They'll explain the process – and help lodge your insurance claim. Drop off your vehicle at one of our panel beating locations in Melbourne/Victoria to get an estimate – or we can come to you. We’ll repair your car. In the meantime, you’ll get an accident replacement vehicle – keeping you on the road. Pick up your vehicle in pre-crash condition; valeted, detailed, and with a complimentary gift bag. Enjoy post-service care. We'll follow-up to ensure you're completely satisfied with our smash repairs service. Just one call takes care of it all. We handle the entire smash repairs process from start to finish – we even help lodge your insurance claim. Our panel beaters are all fully-qualified, highly-trained professionals, using only the highest quality equipment, paints and materials. The result is a smash repairs service and workmanship we know you'll be delighted with. We guarantee it. With 26 locations Melbourne-wide, industry-leading panel beaters are just a phone call away.